Amidst the panic over the Netflix series 13 Reasons Why, John Doyle reminds us the series - and the popular book it's adapted from - is a good piece of fiction. He explains why he thinks Canadians want fiction to be therapeutic, and why that notion is misguided. The Netflix series 13 Reasons Why has generated a lot of controversy. The 13-episode drama is based on Jay Asher's young-adult 2007 bestselling book about a high school student who takes her own life, and leaves behind 13 cassette tapes detailing the events that led to her death — including sexual assault, substance abuse and bullying. Parents and educators have spoken out about the drama, and what they perceive as disturbing content. But Globe and Mail TV critic and columnist John Doyle finds the controversy to be a mystifying fuss. To Doyle, the fact that the book existed for a decade without any controversy reveals to him both the superficial nature of the debate, as well as the narcissism of adults when it comes to teen culture. "If it's not in your face, if it's not obvious, if it's not something the media is already talking about, a lot of parents seem to be unaware of it. I suspect that it's too much effort to read a book that is obviously having an impact on the teenage culture — it's easier to get outraged about an adaptation on Netflix because it's on Netflix." In his view, it reflects a need Canadians have for fiction to be therapeutic. "There is a kind of orthodoxy about the role of fiction in our culture and the orthodoxy is that the best kind of fiction is some kind of therapy, for teenagers in particular — that it should act as a kind of instruction manual for life, that it should only deliver positive thoughts or positive messages and it should not be challenging in any way. That to me as a journalist, as a writer, and as a thinking adult is offensive. That's why fiction exists — it grips, it compels, and it educates. 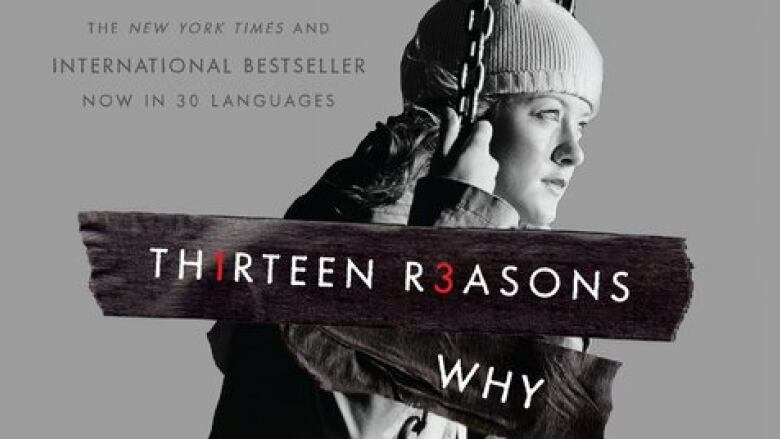 To demean a fine work of fiction in the way that has been done with 13 Reasons Why I think is primitive, and it is mindless reactionary thought about the role of fiction." What's the point of election selfies?